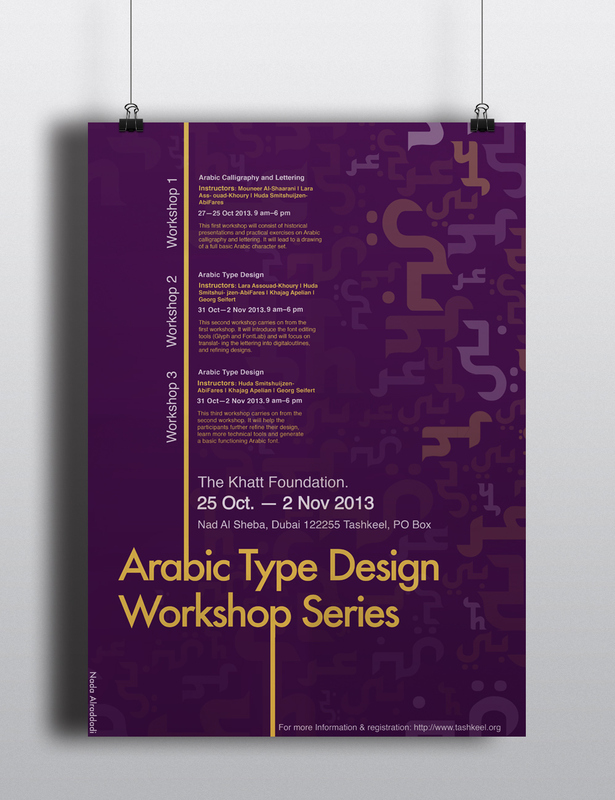 This poster was an assignment I did for my typography class. 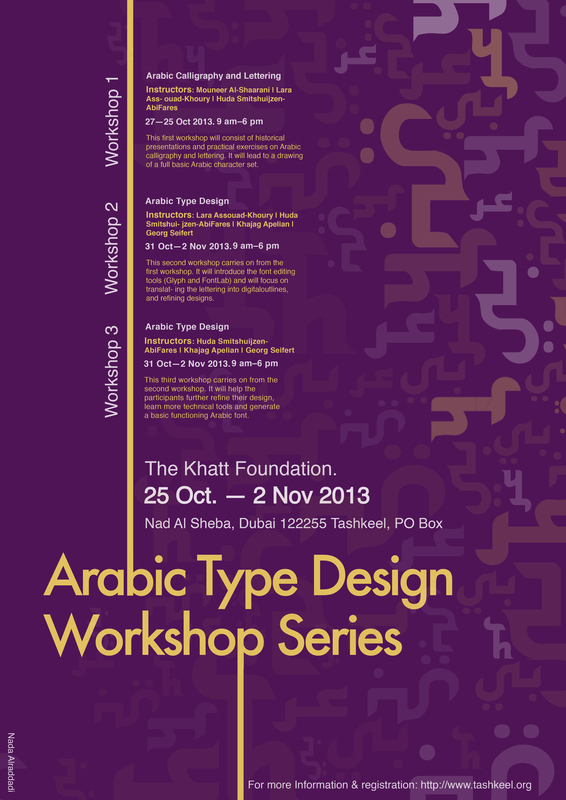 It was for Arabic type design workshops. My design was showcased at colors of Saudi Arabia exhibition 2013.